Producing the perfect olive oil is no easy task: it takes generations of olive oil expertise and advanced production methods to ensure that every bottle of Filippo Berio olive oil is filled with high quality – just the way Filippo Berio intended it. The deliciously rich flavour in every bottle of Filippo Berio Olive Oil is the result of years of skilled craftsmanship and advanced blending techniques. In addition, strict quality control standards are applied at every stage of the product process: from the sourcing of olives to the harvesting, pressing, blending and bottling of the final product. The SALOV Group operates across the Mediterranean area following stringent criteria to ensure consistent olive oil excellence. For decades SALOV has worked with the same growers, building strong relationships based on long-term trust and mutual respect. Filippo Berio’s highly experienced tasters sample 6,000 olive oils each year, yet only 6% are actually selected to become Filippo Berio olive oil. During the selection process, two stages of analysis must be passed in order for an olive oil to be considered Extra Virgin. Once the samples have been selected, their distinctive flavours are blended together to achieve Filippo Berio’s signature taste and character. The blending process is one of the most critical stages in olive oil production. Knowing how to blend fruity, sweet, bitter and peppery flavours into a harmonious oil is an art form that relies almost entirely on age-old tradition, experience and skill. For this reason, Filippo Berio’s blenders are famous around the world for their invaluable expertise and talent. 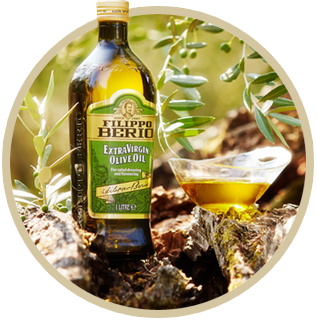 If there was one thing for which Filippo Berio was particularly proud of it was the exceptional quality of his olive oils. 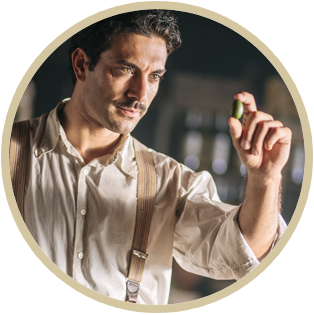 He worked hard to ensure that each bottle was made from the best olives using ‘tried and true’ production methods. Today his stringent quality standards are still applied at every stage of the production process, which takes place in SALOV’s state-of-the-art production facility just outside Lucca, Italy. All production processes are regularly subject to methodical verification by experts and accredited external certification boards to guarantee quality. A part from its own rigorous standards and tests designed to enhance the quality of its oils, SALOV is also certified by the ISO – one of the leading quality control organisations as well as the British Retail Consortium (BRI) and the International Food Standard (IFS). Filippo Berio is also certified Kosher. In addition, SALOV upholds HACCP (Hazard Analysis and Critical Control Points) requirements introduced in Italy in 1997 to safeguard the health and well-being of customers, employees and the community.